Next time when you meet a Chinese person, ask where they are from. The geographical boundary between northern China and southern China is not precisely defined, but there are rough and approximate stereotypes on Northerners and Southerners’ height, language, and what they eat. According to her, Southern style is more detailed in planning before execution and building the business model, then dare to expand the business. In contrast, Northern style is very swift in execution, first to expand wide to win the market share, and then slowly do optimization of their service. “In short, Southern style is bottom-up with a ready product, and Northern style is top-down strategy and later do optimization,” Grace says. 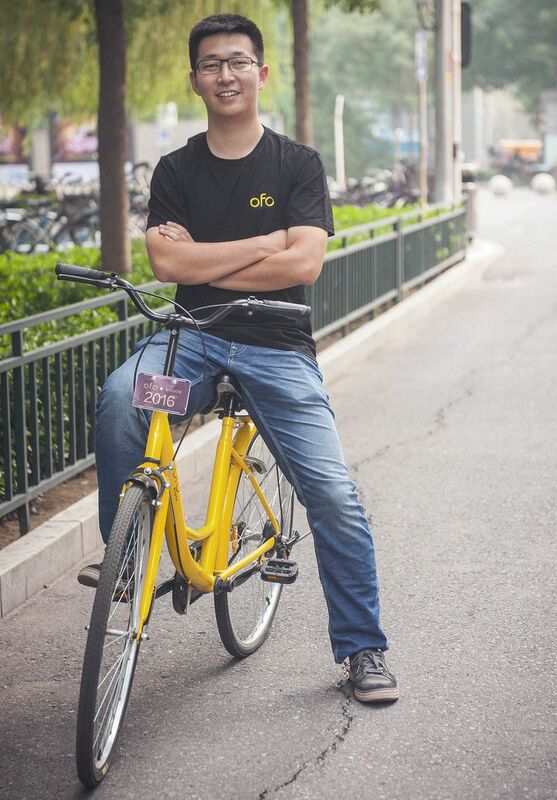 Beijing-based ofo’s founder 25-year-old Dai Wei is from Taixing county in Jiangsu province, the east part of China. Born in 1992, Dai Wei is a post 90s founder, the tech-savvy generation who dominates online shopping in China. The Peking University Ph.D. dropout started ofo with four other students to solve his own problem of getting around the campus. An interview with Bloomberg explains well his Northern way of doing business. Officially launched in September 2015, ofo (named because the word looks like a bicycle) made quick expansion across the campuses in China. Soon seven universities around China had adopted ofo. However, ofo lacked the technology. Their bikes don’t have GPS, so users will have to walk around to seek for ofo bikes to use one. It only has an app that tells you the static combination for a 4-digit lock. That’s why investors like Huawei and China Telecom are helping ofo to optimize the technology of the bikes. Didi Chuxing, ZhenFund, and Xiaomi founder Lei Jun have also backed the company, with a total funding amount of US$ 580 million. Now the yellow bike company sits in Zhongguancun, the top destination for entrepreneurs in Beijing. Apple CEO Tim Cook had just visited ofo’s office to try out their yellow bike for himself. Hu Weiwei, the 34-year-old founder of Mobike was born in Dongyang county of Zhejiang province, the southern part of China. Graduating Zhejiang university, she worked as a journalist at the Daily Economics newspaper (每日经济新闻) mainly covering automobile news, which later helped her form Mobike’s founding team. After leaving the company, she went to The Beijing News and Business Value to report about technology news, which inspired her to start a business on her own. In December 2015, she formed a team from her automobile industry networks and established Mobike in January of 2016. Mobike developed on top of technology and high-end branding. The bikes are built on top of GPS and QR code-based authentication system, which allows people to track the bikes using satellite navigation and the company to create a pool of data. Mobike also established its own factory to produce identical orange-silver bikes. After thorough planning, Mobike launched in Shanghai in April 2016 and launched in Beijing in September. The Shanghai-based company’s growth picked up when it spread within Beijing. The orange bike raised US$ 325 million in total from Singapore’s Temasek, Foxconn, Tencent, Hillhouse Capital, Sequoia Capital and Vertex Ventures. Currently, Mobike runs in Shanghai, Beijing, Guangzhou, Shenzhen and Chengdu in China and Singapore, and aims to put its bicycles across 100 cities before the end of 2017.